Investing in technology, developing a line of office furniture products, and marketing on the Internet are among the strategies that Boden Store Fixtures plans to employ to achieve its five-year goal to hit $40 million in sales. 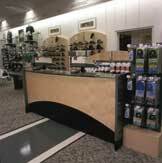 Boden Store Fixtures Inc. knows all about building long-lasting relationships with its customers. The Portland, OR-based company continues to work with some of the retail and commercial businesses it has served since its founding more than 50 years ago. "We started out serving Fred Meyer Inc. and Safeway," says Dan Dunn, vice president of sales and marketing. 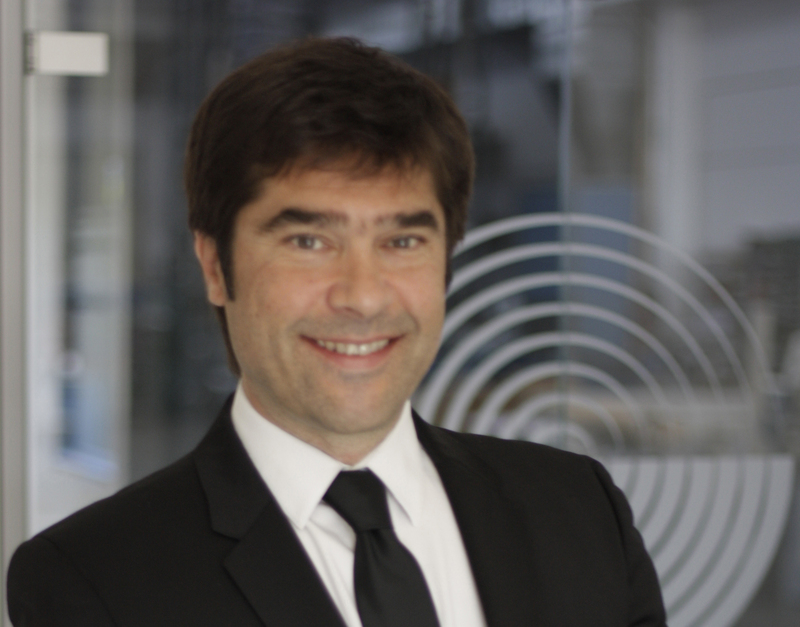 "We've grown up with these companies and expanded outward." Last year was Boden's biggest year yet, with $22 million in sales. The company's five-year goal is to reach $40 million. To that end, it is working on several fronts to diversify its product line, increase manufacturing productivity, develop an interactive Web site and capitalize on the "green" certification movement. More examples of Boden's handiwork are these curved shelving units for Tully's Coffee. Ninety percent of Boden's fixture business is generated by the retail trade. Dunn breaks the company's core business into seven target groups: grocery stores, apparel retailers, specialty retailers, mass merchandisers, food services, financial services, and designers and architects, who specify fixturing projects. Commercial fixtures make up the rest of the company's sales. This includes custom office products, tenant improvements and a currently small number of stock office equipment such as a lobby benches made of recycled plastic lumber and a video conferencing cart. Dunn adds that Boden is working to expand its commercial product sales by adding new products to its catalog. For example, Dunn says that by next year the company plans to begin manufacturing and marketing a modular line of conference room furniture including tables, presentation boards, media cabinets and hospitality carts that can be wheeled in and out of conference rooms as needed. The company also designs and builds custom cabinets and work carrels for high-tech companies. Dunn says he sees continued sales growth in the office arena, especially because of Pacific Northwest's muscular economy. Manufacturing and office operations occupy about 175,000 square feet of space, divided among three facilities. Boden's original plant, in North Portland, now houses a high-end custom shop and architects' offices. A second building nearby handles shipping. Corporate offices and the main production facility are set up in leased buildings in another part of the city. "We'd like to bring it all together on one site," Dunn says. "Sometimes it's difficult to run things from so many places, but we manage." What helps is that the company is blessed with skilled craftsmen backed by high-tech equipment. Thus it can handle small, high-end custom orders through large-volume orders of case goods. "We specialize in custom rollouts," either for new stores or remodeling projects, Dunn says. "That's a strength in our manufacturing ability." Boden employs about 200 people, a number that fluctuates with seasonal demand. In the last three years the company has focused on boosting production efficiency through capital investment. Dunn says more advanced automation has not only translated into more production, but more consistent products as well. "We keep adding pieces of machinery to the work cell that we started five years ago," he says. "We've transformed ourselves from a cabinet shop into a fixture factory. Without the equipment we're just a couple of guys in a garage." Boden's newest addition is an Accu-Systems CNC boring and dowel insertion machine, with horizontal and vertical boring capability, and four work zones. It may not be used on every project, Dunn says, but it speeds work on the jobs that do call for it. Other recent equipment purchases include a Weeke BP-150 point-to-point machining center, a Heian CNC router from Stiles Machinery and a Schelling CNC panel saw. 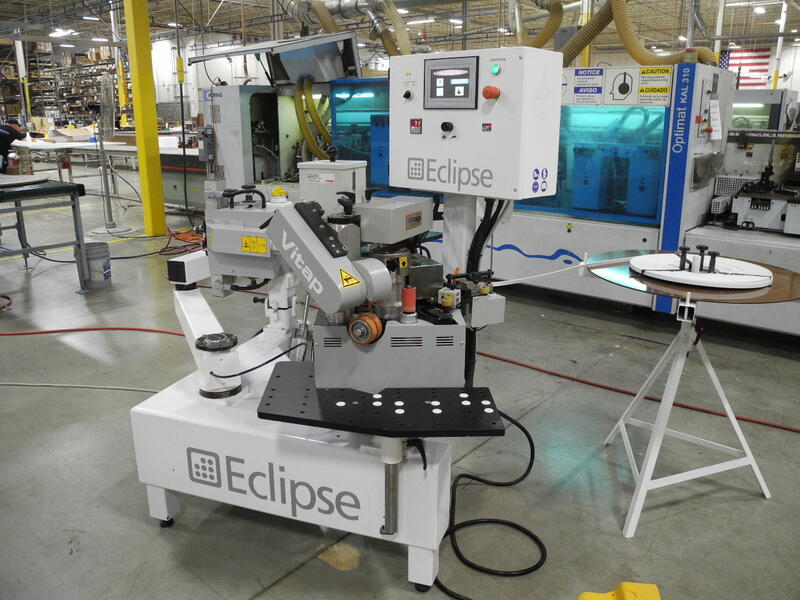 Combined, the new equipment forms an automated panel processing work cell for sizing and shaping raw materials into components that can be readily assembled. Boden customers have a wide range of decorative finishes from which to choose. The company's capabilities include three spray booths for finishing, allowing it to perform multi-stepped and hand-rubbed finishes. In addition, the company has a Black Bros. cold press for laying up laminated and veneered panels. The company is able to run multiple work shifts when product demand kicks into high gear. That's a boon when trying to schedule different types and sizes of jobs at the same time, since customers typically want their products immediately, Dunn says. This year company officials are pondering a move to flexible shift schedules -- one working Monday through Thursday, perhaps, and a second working Wednesday through Sunday -- if needed. Every customer has different needs, and communicating those differences throughout the company can be a challenge, Dunn says. For example, he says one customer might order single-season fixtures, with plans to quickly replace them in preparation for the next holiday sale. That disposable product mentality demands a different, lower-cost manufacturing approach than for a customer who plans to hang on to its fixtures for five years or more. Boden applies the principles of value engineering to manufacture products at the lowest cost possible that meet the customer's requirements. "We can't treat them the same," Dunn says "It's no easy thing to do." The answer has been to institute hand-off meetings before starting any job. The foreman and key assembly workers sit down with architects and salespeople to go over the customer's needs and allow everyone to give their input on how best to handle the project. The production workers "know some pretty good shortcuts and efficiencies," he says. Value engineering is a Boden specialty, Dunn adds. When working with outside designers and architects, company employees pore through the project specs to engineer the work "so we can get the required look and performance at the lowest cost." That type of attention to detail is where long-term relationships with customers start. "We're not interested in one-time deals," Dunn says. "We prefer to grow with our customers. We make it our job to know even more about their fixtures than they do." Although Boden started by working solely in wood fixtures, about 30 percent of production now involves using other materials such as plastic laminate, acrylics and glass. Boden also is certified by Scientific Certification Systems. This allows it to cater to customers who specify that their fixtures and casework be made from wood harvested from forests managed under environmentally responsible practices. Certification requires a yearly evaluation to ensure the certified wood is kept separate from standard wood. Dunn adds that certified raw materials are becoming more readily available. Being "green" certified helped Boden land a contract with The Nature Company. Certified wood was used in the manufacture of interactive music and multimedia fixtures for 85 Nature Company stores. The kiosks for The Nature Company also highlight another Boden practice: creating strategic alliances to provide complementary services such as graphics and interactive fixtures. 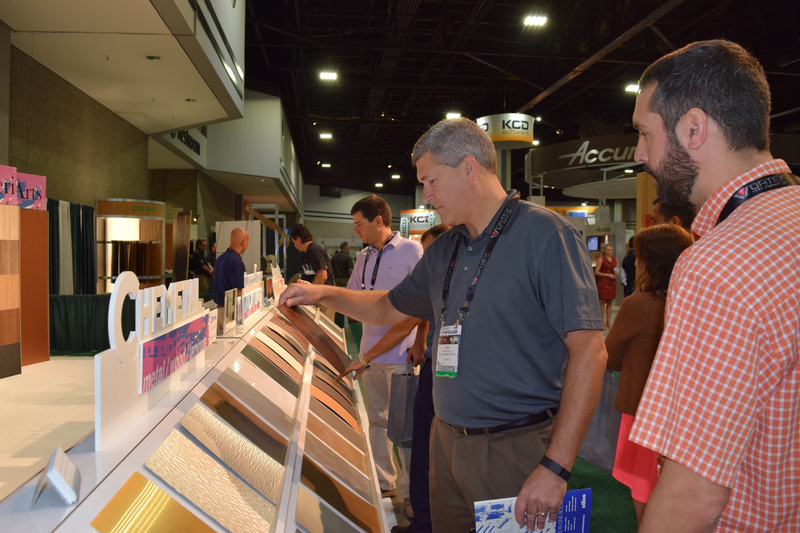 Many customers prefer the ease of one-stop shopping for all their fixture needs, he says. Another notable project, outfitting a local grocery chain's flagship store, won a retail design award last year from the National Association of Store Fixture Manufacturers. Nature's Fresh Northwest, based in Portland, won a design award for the new store in which the fixtures reflect the non-traditional feel by using unusual materials such as regional woods and river rocks, Dunn says. "We're not the low-cost leader," he says. Achieving the desired level of quality and service means not only paying attention to customers, but also to its employees, as with the hand-off meetings. "By bringing our employees into a project early on, they can take ownership, and things run more efficiently," he says. "That's what they're here for. We can get a machine that screws pieces of wood together, but it's not going to have the knowledge our guys have." Empowering employees also pays off in company morale. "People want to be part of something," Dunn says, adding that high morale translates into low turnover. "It's very difficult to find quality people in this industry," particularly in the Northwest's booming economy, he says.